Ayyyyyyyyyy we have a goodie lined up for yall. 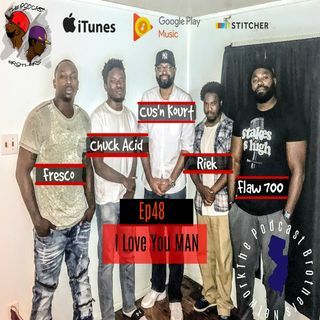 We have a full house.... Cousin Kourt, Chuck Acid and Riek joined us for episode 48. As a Man do you express love in the way that it should be (with male family members, friends; specifically with sons, nephews, cousins, ect? The hit series " Power "
Timbo! Timbaland to me is way more creative than Swizz.